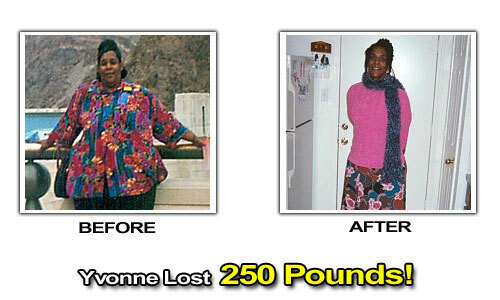 Pounds or Inches Lost: I have lost a total of 250 pounds! In 2000 I got married and was very happy. My husband and I ate our way through every new experience and by the start of 2002 we realized our health was in jeopardy. Having always been on one diet or another my entire teenage and adult life, I decided this time whatever I did had to be permanent. 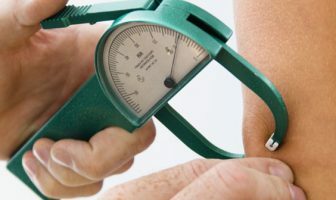 I was borderline diabetic, my joints ached, my asthma was out of control and I was miserable. Prior to selecting weight loss surgery I realized that it was not the food that was the problem – it was my attitude toward it. Why I ate. Starting about 6 months prior to surgery I cut out all junk food and started an exercise program of walking every day. I also realized that I had to find other outlets to celebrate or deal with stress. My husband and I together made better food choices and also planned our meals. After weight loss surgery the pounds seemed to melt away. However, I knew that would not last forever and in order to maintain my losing I would need to seriously begin an exercise regimen. Working out at least 1 hour every day. In the beginning it was only the treadmill, then walking the hills in the neighborhood. I soon moved over to the elliptical glider and after 2 years I was finally able to take some of the classes at the gym. I am now a bona fide gym rat! I also know that taking my vitamins daily and drinking at least 96 oz of water per day is absolutely necessary. I started seeing the results after about 3 months. It took my mind much longer to grasp the concept of a new smaller me. I still have some imaging problems today always viewing myself as bigger than I really am. It took me 2 years and 6 months to reach the weight I am at currently. I have been maintaining this weight for over a year now. I work out every day. I continually switch my routines so I do not get bored. I still love taking classes at the gym like Spin, Cardio Kickboxing, Yoga and Body Pump. However, I also bike ride, jump rope and do most of my stretching at home. I am now truly living my life. I have energy that I have never known existed. I like to set goals and see how long it takes to achieve them when exercising. ShapeFit has given me ideas for different types of exercises to keep me motivated. They have also helped me stay motivated by offering variety in food choices that I had not thought of on my own as well as exercise alternatives. It’s great to see other women also striving for the same or similar goals and knowing they too are successful. Eat to live, don’t simply live to eat. Set achievable goals and reward yourself when you achieve them. Don’t beat yourself up if you fall back into the old routine. It’s not about the destination but the journey you take to get there. Keep a food journal, measure your foods, and try something new. Try different kinds of exercise so you don’t get stuck in a rut. 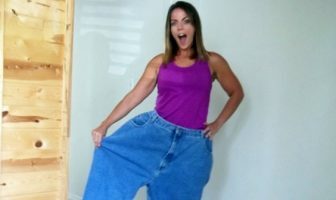 Yvonne’s Weight Loss Eating Plan! 1/2 cup oatmeal 1 banana. 3 oz tuna 1/2 cup spinach 1 medium fruit (apple, orange). 4 oz meat (chicken, fish either baked, broiled or grilled) 1 cup tomato and cucumber slices. 20 pretzels or 2 tiny boxes of raisins, or celery with non-fat ranch dressing. 1 hour Yoga twice a week, 1 hour Body Pump (weight lifting class) 1 time per week, 1 hour jump rope or running stairs at high school football stadium bleachers. 1 hour kickboxing 1 time per week, 1 hour spin class twice a week.